Truth is a funny thing when it comes to sales. Sales of anything including air conditioning and heating equipment for that matter. We’ve all been duped by TV commercials that sell some new product with claims that more often then not turn out to be outright lies. They promise your money back, they promise if it’s ever broken they will give you a new one. A promise is made only to be broken. Tell me if I am wrong OK? If you’re young and in your 20’s maybe early 30’s you may not know what I am about to share with you. Realize if you are in your 20’s I am twice your age. I know the sales game like the back of my hand. So take my hand and take a walk with me, as I share some of my own wisdom with you. It’s not hard to make one product ‘look’ better than another if you make other similar products look worse. Often times it’s the ‘love’ of what one product claims. In most cases in the AC world of things it’s flashy words to put one’s HVAC product on a pedestal as being better than other competing HVAC products. For the most part a newly installed HVAC system can work flawlessly for quite some time because the longevity of a ‘completely’ new HVAC system can run for typically several years or more with little to no fuss other than changing air filters periodically. The funny part is brand doesn’t matter at all for the above to occur. Are you laughing yet? Here’s a recent video I produced to describe this situation in clearer detail. Video embedded below from my youtube channel. 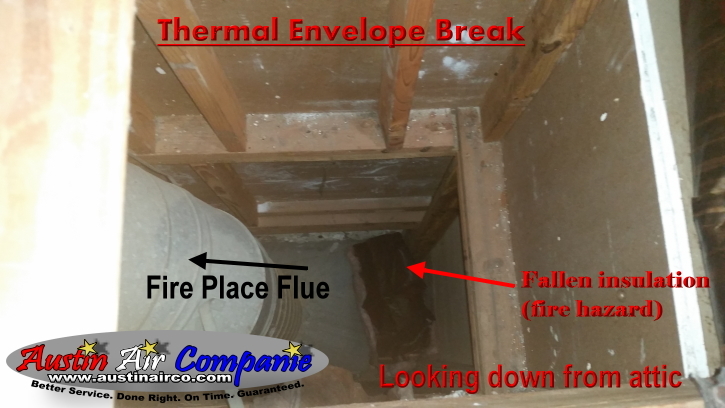 You see as a HVAC business owner and operator, my job is ultimately being able to fix your system when it breaks. All brands break. I’m well aware of all the flashy gimmicks that many times make you think other wise. They’re there to captivate you and in many cases deceive you to think some elusive better non breakable HVAC system exists, when your current HVAC system isn’t performing as it should. With that said, there is nothing wrong with certain HVAC brands that proclaim to be better. However, there are those that proclaim to be better than they really are and they come at a premium cost wise. So when they do break you will pay more for parts. Remember most HVAC brands require manufacturer specific parts these days. Nearly all HVAC brands do this to some degree. If I have to drive further to obtain those parts and the manufacturing plants are further away from those distributors you could be in for a wait to get that system fixed. You see this is the ‘nitty gritty’ back ground thinking that I do for you. Time. What is ‘time’ worth to you in a 100 degree heat wave and a broken AC? More and more HVAC manufacturer’s are using parts that are equipment specific so they can charge whatever they want for the part you need to repair your HVAC system. The cost of what ever the manufacturer charges me (or any other company) is passed down to you. Don’t kid yourself. For 10 years I have been running my HVAC business. I have installed 8 different brands of equipment. Mostly to see if there is ‘really’ some brand out there that is truly better than other brands. Realize I have been running HVAC service for 23 years total as of 2018. 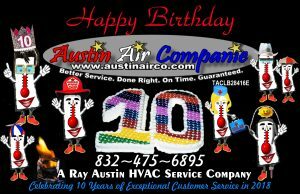 As I said above the last 10 years have been running my own HVAC company. I am a one man company. Today it is August 20, 2018. Feel like temps hit over 100 degrees yesterday. I am bored, waiting for the phone to ring. If you truly think AC brand matters as much as some think, why or how is it that I have the time it takes to write this lengthy blog post in the middle of high heat summer? Why am I not working fixing the equipment I installed over the past 10 years because it was inferior? Truth is funny that way. Ok, how about now? Are you laughing now? What is the reason this Copeland compressor is in this factory? It’s none other than salesmanship. It’s like the TV ad trying to sell you (fool you) into buying the latest kitchen gadget or whatever it is they are selling this week. Remember the Proverb? A fool and his money are soon parted. I don’t play those kinds of games. The truth is a double edged sword. If you don’t like the truth, your only option is to deny it. How much fun is that going to be? The real reason I sell what I sell is access to parts when the AC system does break. Remember they all break. The better you take care of it the less likely that is. Another reason is ease in which it is to obtain those parts. Time, what is it worth to you? I am older now, so time is pretty expensive to me. I live less than a mile from my main parts distributor. That main distributor gets the parts from the factory that is located less than 20 miles away. The warranties I get from this manufacture for higher end equipment are second to none. My work ethic is second to none. My prices are reasonable for what I do. Quality comes from legendary response times and the knowledge to know how to correct a mistake ‘before’ becoming a critical problem. I answer my own phone. I joke around a lot within my advertising, mainly because I get bored so frequently and comedy is something that some people can relate to. The jokes end when your comfort is on the line. I take my job seriously, when I am on the job. There is a time and place for everything. I am merely an ‘experienced’ guide to help you make not only a wise choice, but also become your HVAC servicer. AC Equipment sales are here one minute gone the next. If a HVAC servicer can’t repair equipment, then where does that leave you? I repair all brands. How could I have installed 8 different brands over the years and only know how to work on a few of them? The only reason I say these things is to help you (the reader) to better understand how this works and the risks involved. There is risk driving down the road. Right? I merely present you options or choices if you will as to what you want (what features are important to you). Whether it’s repairing or replacing your system it’s your choice to do so. If the choice you make doesn’t work as you think I am here to fix it again or replace it. I am skilled in both. I am a licensed HVAC contractor. I have some news for you, it wasn’t me who installed it. Therein lies the difference. It’s very common for competing HVAC companies to show you bad recent reviews of equipment brands they do not sell. If you check third party review sites of the equipment brand they are ‘trying’ to sell to you then you will see the brand they are selling you is just as inferior as anything else. Back in the day, I believe this was called ‘The Shell’ game. Remember, you’re not buying a toaster. It takes skill to install a new HVAC system. It takes even more skill to be able to fix one. All HVAC brands on third party review sites rank the same at about 1 to 1.5 stars. Proper installation and skill are the main ingredients to a great HVAC Equipment Installation. HVAC equipment manufacturer’s have all changed in the past 10 years (bought out by other companies). Nothing is the same as it once was. Snap out of it. There is only one ‘real’ reason you use a professional. That is ‘TRUST’. Thank you for visiting with me today. As always, I hope your day is comfortable. Celebrating 10 years in 2018. There are those that are likely in the process of getting theirs fixed or putting it off because the AC broke unexpectedly. There is a lot of bad information out there in the internet world… please do not make the situation worse by attempting to fix it yourself or worse yet hire someone that is not licensed to work on it. I have a good track record of repairing older systems. If and when it comes time to replace your AC I have a good track record there as well. I run my own AC company. You get someone with greater knowledge. How I fix things works. I write my own blogs, make my own you tube videos. If something else breaks, I fix it. I don’t make excuses. I don’t offer gimmicks. I offer true HVAC service and repair each and everyday 362 days a year. I have some really unique stories that I plan to share soon on my you tube channel. One call in particular was a company that called me for a quote to replace a compressor. I didn’t just give them a quote for the compressor. I checked to see what was wrong with the one that was so called bad. Good thing I checked because there was nothing wrong with the compressor. It was a minor electrical problem that was causing the issue. I saved this company over $2600.00 on something they didn’t need. Folks, this is why you pay for service. This is why you hire knowledgeable licensed HVAC contractors. I harp on this a lot in various blog posts I’ve written here and other websites that I own and operate. Time goes by, but nothing changes really. It’s the same thing that has gone on in the past. The lure of cheap service contracts… subscribe to my you tube channel here, the video is coming soon. The terms Freon and Refrigerant more or less mean the same thing when people use them in a sentence when referring to an air conditioner’s coolant gas. However, Freon and refrigerant terms are very broad based terms that only attempt to suggest what is really meant. You see the word Freon is actually a trademark owned originally by Dupont Corporation and is now owned by Chemours Company and the refrigerant term is another broad based term that more or less means the same thing. 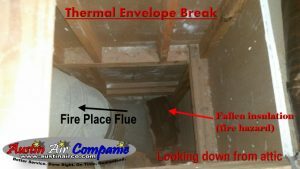 Come along with me on a AC repair job I did to eliminate R22 Freon Leaks. Watch the video below. You may be surprised to know that there are literally dozens of refrigerants all uniquely different depending on the application in which the refrigerant was intended to be used. You can’t put gasoline in a diesel engine and expect it to run, just as much as putting the wrong refrigerant in your central air conditioning unit in your home HVAC system. This will not work well and certainly not for very long. All refrigerants are solvents to one degree or another and some refrigerants are also fuels and so because of flammability concerns they make poor choices for being used as a refrigerant. Propane and Gasoline are good examples of poor refrigerants because of explosion potential. As refrigerants pertain to the high temp air conditioning market (residential and commercial structures) there are really only 3 refrigerants that represent reasonable long term choices. A few more refrigerants are being considered for the future as of 2018. The old refrigerant being phased out is R-22. The new refrigerant is R410a. R410a refrigerant is really not all that new. R410a has been around for over 25 years if you can imagine that. This R410a refrigerant was made by Honeywell in 1991, but was known as Allied Signal back then. The first R410a AC systems for residential use were installed in 1996. Currently many refrigerant companies make R410a refrigerant under licenses provided by Honeywell. 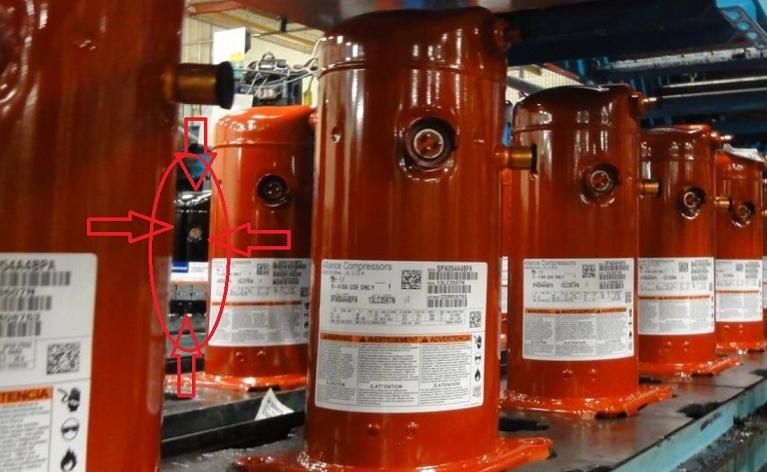 The change over to this new R410a refrigerant has been slow, mostly because equipment must be replaced to be able to use it and because pressures at which this R410a refrigerant operates at is considerably different than the R-22 refrigerant that the HVAC industry has grown accustomed to. There also can be complications in some structures which can increase the cost to change over in addition to equipment costs. For the longest term and most efficient use, R410a is ultimately best choice for high temperature air conditioning application as of 2018. Production of R-22, commonly known and referred to as Freon, as it was heavily marketed by Dupont Corporation under that name, can no longer be produced after December 31, 2019 and the amount that can be produced is extremely limited in relation to the demand of it. When there is strong demand for something with extremely limited supply, prices go up. Supply versus demand. While warnings of cost increases related to R22 refrigerant have gone out, many are oblivious to what is happening in the residential HVAC market in terms of cost of repair and options on what the home owner can do to repair their AC systems without spending a fortune on repeated R22 recharges. You have to fix the refrigerant leaks. If you don’t fix the refrigerant leak(s), the refrigerant will just leak back out. At this point R22 Freon is the worst when it comes to cost, but R410a requires leak repairs as well. The old way of recharging systems every year is hard on the wallet and this will likely only get harder for the foreseeable future. I touch base a little on this subject in the video embedded above in this blog post, for the simple reason the HVAC system in the video wasn’t that old but due to the R22 Freon problem, the best way forward was to replace the AC system and the home owner agreed even though I also offered to replace only the evaporator coil to fix the refrigerant leaks. 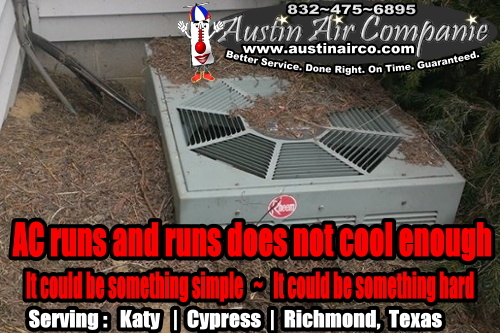 These kinds of choices are always yours to make when you use my Katy, Texas AC repair services. High Pressure AC sales come into play when a company uses the refrigerant leak problem (whatever refrigerant it is) to suggest that the whole HVAC system needs to be replaced. Like the AC and the furnace in the case of the video embedded above. If the goal of the home owner is to go with the most energy efficient AC system they can buy, then in most cases the furnace would have to be replaced to obtain those high efficiency requirements, I say this so you understand that depending on the choices you make there may not be any other way forward if high efficiency air conditioning is your goal. This in turn raises the cost and if you’re planning to sell the home soon, it’s unlikely you will recoup the added cost of the high efficient HVAC system. Typically high efficiency HVAC systems are best suited to home owners who plan to live in their home for at least 15-20 years or longer. In some cases these high efficient HVAC systems are considered ‘lifetime HVAC systems’. If the goal of the home owner is just to fix the AC, then depending on how long the home owner plans to own the home and where the problem with the AC system is can give you many more options when you are using a HVAC company (like mine) that is professionally skilled in those kinds of HVAC repairs. My goal is to fix or repair your AC system and in many instances there is more than one way to accomplish this goal, obviously if one of these choices may waste your money I would think you would want to be informed of that before you select that option. Each choice I offer you is a matter of preference based on how long you plan to own the home among other considerations. If you call me to come to your home to fix your AC problems I will give you options best suited to fix your air conditioning system, given your current situation or comfort goals you are trying to achieve in your home. There is rarely a home comfort solution that fits everyone. It is my opinion that the decision is yours to make once all the facts are laid out to you. A new HVAC system can break down just as much as an old one can. Regardless of brand. Professional installation of the HVAC equipment is by far the most important part of the decision which is why I personally install all HVAC equipment I sell, this will drastically cut your risk of breakdown more than anything else. While it’s typically more common for an older system to break down, there are a number of HVAC systems (any brand) I see in the summer that are only a few years old and broken. Over 99% of these are HVAC systems I did not install. My trouble rate on AC equipment I’ve installed is less than 2%. That means less than 2 pieces out of 100 in any one given year. HVAC industry as whole typically accepts 25% failure rate as being ‘normal’. My experience is telling me many people are being duped. With that said, no matter if you replace one part of your HVAC system or the whole thing, in my climate of Katy, Texas you will always need a good knowledgeable HVAC repair man. Maybe it’s me? My name is Ray Austin. I am the owner and operator of Austin Air Companie, a Ray Austin HVAC Service Company serving Katy, Texas | Cypress, Texas | Richmond, Texas and some surrounding areas. I am a Texas Licensed HVAC Contractor with 23 years ‘hands on’ experience in Air Conditioning and Heating Systems as of 2018. I hold an AOS degree in HVAC/R Mechanic, EPA universally certified to handle any refrigerant and NATE certified in HVAC installations and repairs. I specialize in Residential HVAC systems. Serving Katy, Texas area: Freon leaks in your air conditioning system pose a big challenge now and in the foreseeable future. Part of the problem can sometimes be a missed diagnosis, because what seems as a system low on Freon in fact could be something else entirely different. Some problems with your air conditioner can mimic that of a system being low on Freon when in fact the system isn’t low on Freon at all. To make matters worse the required amount of refrigerant needed for a modern AC system could be anywhere from 6 to 20 pounds of refrigerant. This isn’t something that should be guessed at. Guessing only leads to more guessing. This is why proper diagnosis (in person) is key and why inspection of your air conditioning system by a professional licensed HVAC contractor is necessary to getting the results of what you are looking for to begin with. If a system is thought to be low on Freon and the system is charged with additional Freon this additional Freon in many instances can cause the system not to work under heavy heat conditions and it’s not likely to help at all under low heat conditions either. You see when an AC system is under heavy heat conditions, the refrigerant expands. There is only so much room in your air conditioner. If the system is over charged with refrigerant it won’t work right just as much as if the system were under charged, not having enough refrigerant to operate properly. Air conditioning systems are designed to be perfectly sealed systems. If the system is leak free it can run forever without any fuss of needing to recharge Freon into the system. The problem is that as an air conditioner ages it can be susceptible to forming leaks sometimes due to poor servicing methods and some times due to just normal wear and tear. Most often the Freon leaks form within the equipment itself. Some times these leaks are repairable and sometimes the leaks are not repairable and may require some equipment to be replaced with new equipment to repair the Freon leaks properly. Many times I get called out on systems that I have never been to before. Because I have no records of the system in question I can give you several options as a way to get to the point of repairing your system, there isn’t always a ‘one size’ fits all approach to these kinds of problems. Obviously in order to even get to this point the system has to be properly diagnosed to even know that it is low on refrigerant to begin with. If you have had to recharge your AC system before, there is a good chance the air conditioning system probably has a Freon leak. But even that is not certain if you are a victim of poor servicing methods. The problem with refrigerant leaks is that the best cure is repair the leak. The bigger problem is knowing where the leak is. This many times comes by way of experience and knowing where many leaks typically form with in your AC system. It’s not always that easy to find really small Freon leaks. If you are not certain where a leak exists and you replace only part of the AC equipment only to later find the system low on Freon again, there could be a good chance you made a repair for nothing or you just have an aging system that keeps springing refrigerant leaks. That’s what makes this difficult and why I am writing this blog right now. Adding things to your system that don’t belong in your system to begin with to find Freon leaks or try to repair them with snake oil additives is not advisable because you are now placing things in your refrigeration system that shouldn’t be there to begin with. I have methods to find leaks that don’t involve adding things to a system. It is the better way to do it with better long term results. Obviously every method doesn’t result in success every time. In time conclusions can be drawn from my own experience and previous invoice records of a given property. Yes, there is more than one reason for a service invoice. Service records play an important role of keeping your system properly tuned with the right amount of refrigerant your HVAC system needs to perform properly. This is why it is not a good idea to jump from one AC company to another. If servicing is poor at one company, it is likely to be no better at another. This is why you should hire a pro to service your HVAC equipment. I can give you several options to get to the bottom of system performance issues as well as provide you with options to get that leak free AC system you are looking for. Then as you need service, the service records look to keep you further informed in regards to refrigerant charges and whatever else your system has needed previously in the way of repairs. As of 2017, there is no such thing as a ‘better’ refrigerant all of them are expensive, and all of them require systems to be leak free. The old way of doing things was merely to recharge the system, but due to the continuing rising costs of refrigerants this option is not a viable long term solution. You must be looking at ways to find and fix those Freon leaks, regardless of what type of refrigerant your system uses. My name is Ray Austin. 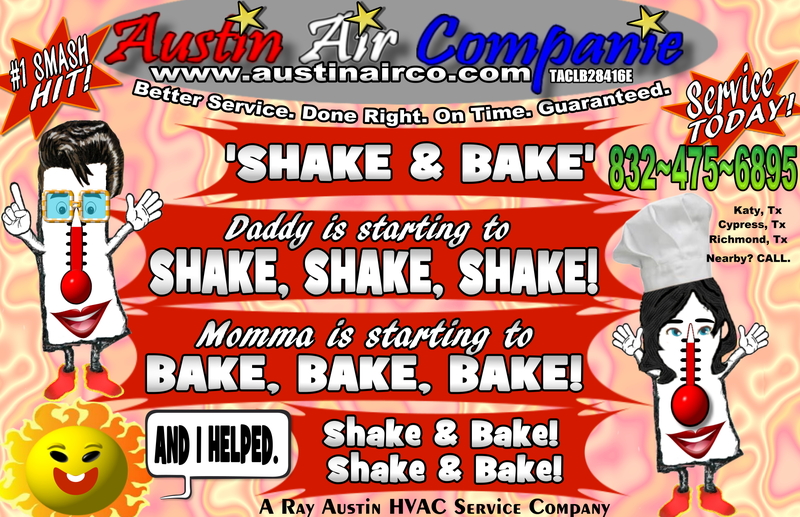 I am the owner and operator of Austin Air Companie, a HVAC Service Company serving Katy, Texas | Cypress, Texas | Richmond, Texas and some surrounding areas. 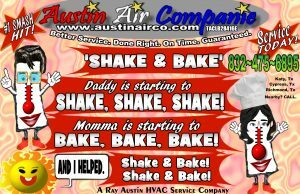 I am a Texas Licensed HVAC Contractor with over 22 years experience in Air Conditioning and Heating Systems. I hold an AOS degree in HVAC/R, EPA universally certified to handle any refrigerant and NATE certified in HVAC installations and repairs.